Win the Candy-Coated Heart of Princess Bubblegum! The benevolent ruler of the Candy Kingdom has been working too hard in her lab and needs to go out and socialize (so say her loyal subjects). Are you the righteous suitor that can compete with science for a date with Princess Bubblegum? Love Letter: Adventure Time is a game of risk, deduction, and luck for 2-4 players. 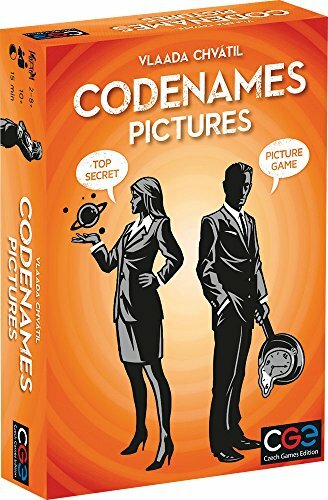 Codenames can now be played with Pictures! Whimsical, mind-twisting illustrations are used instead of word cards. Can you find one word that ties your team's pictures together? 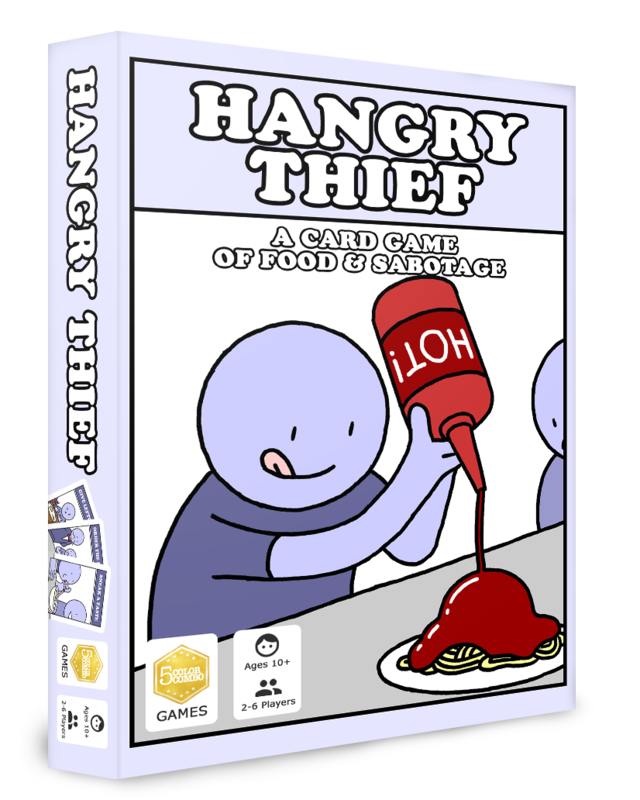 Can be played with or instead of the original Codenames. 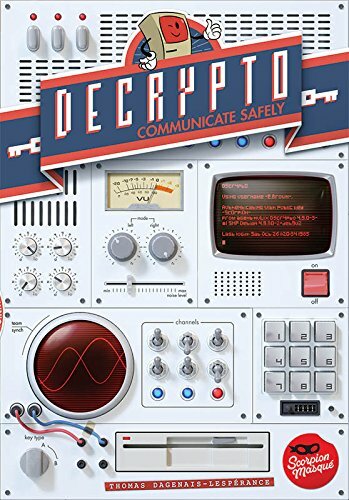 The rules of the game are the same: Two rival spymasters give one-word clues that can point to multiple pictures on the table. Their teammates try to guess pictures of their color while avoiding those that belong to the opposing team. It's no surprise that Rummikub is so popular - it has all the elements that make a great game: it's easy to learn and fast moving, it's different every time it's played, it combines luck and strategy, and it changes quickly so every player has a chance to win until the very end. Players take turns placing numbered tiles in runs (consecutive numbers of the same color) and groups (three or more of the same number in different colors), Rummy style. The "board" continually changes as players adjust the tiles on the table. The Joker tiles add to the fun and can be played as any color or number. 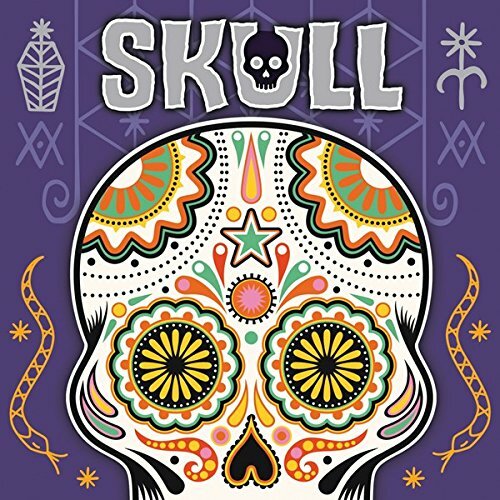 Be the first player to play every tile on your rack to win! Rummikub includes 106 high quality plastic tiles, 4 plastic tile-holder racks, and complete illustrated instructions. 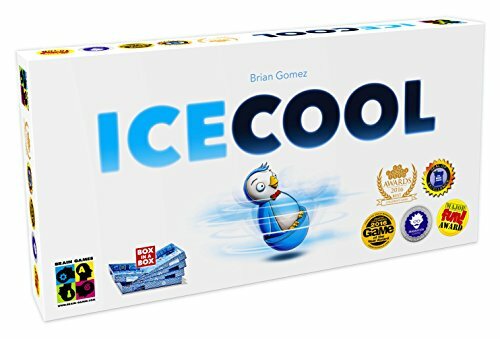 For 2-4 players, ages 8 and up. The Board Game Where Your Power Grows As You Lose Do you have someone who keeps telling you they don't want to play games because they keep losing. This is the game for them! As you get attacked you get more cards to use to fight back! 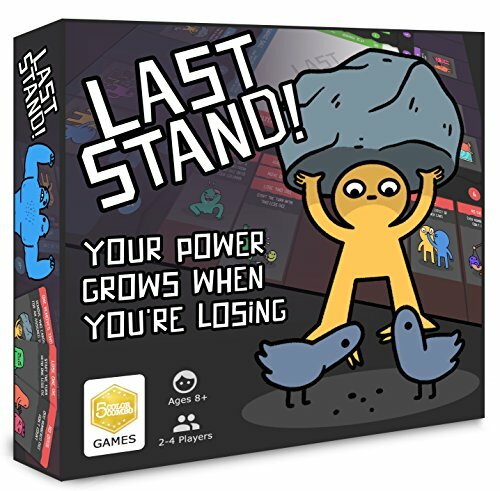 This game has Easy for families to play together Politics Quick to learn Tension building to the very end Players can participate through the entire game Great for new board gamers With art by cartoonist Chris McCoy this game stands up and shouts to be played with! 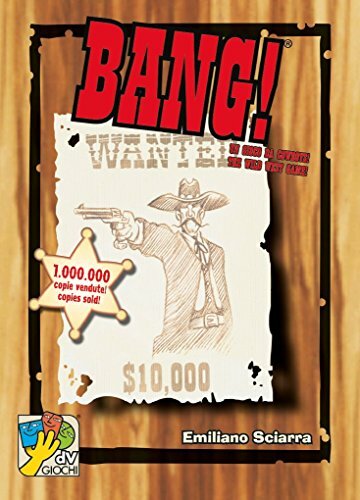 Enfutown Bumpers is a 2 player strategy card game with a fun art style you can't put away! 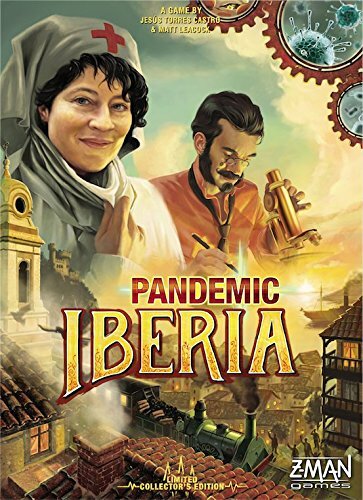 It's got a lot of elements for outstanding gameplay. Board positioning Outwitting your opponent Hidden Information Bump Battles! 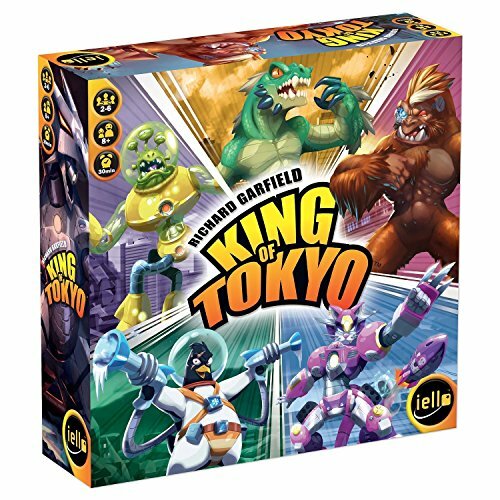 It's reminiscent of games like Stratego and Poker. Units move face down on the 3x5 board and after bump battles, they are revealed. There are many opportunities to read your opponent and bluff too! Each card has a Rank which determines the winner of a bump and when a bump battle begins, more of your cards can be added to the battle! Each card has their own abilities too, creating a deep game of strategy and out playing your opponent. 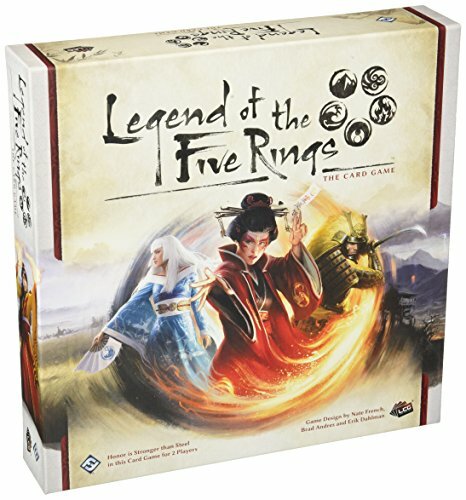 Legend of the Five Rings: The Card Game is a player-influenced Living Card Game that sees two players take on the role of one of the seven Great Clans of Rokugan, vying for military and political control while maintaining Rokugan society’s strict code of honor. 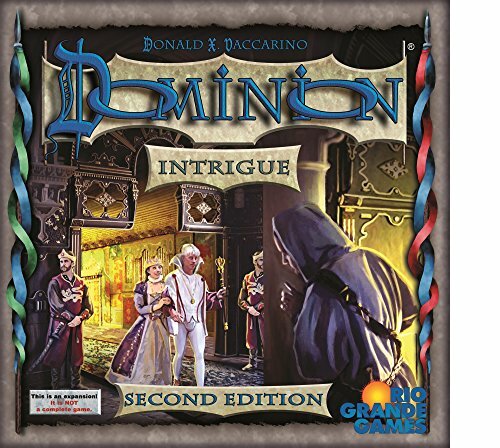 Each player commands their forces with two separate decks: a dynasty deck fills their provinces with characters and holdings while a conflict deck consisting of tactics, maneuvers, followers, and attachments is used to turn the tide in a struggle for supremacy. During a game, players will engage in conflicts, both political and military based, with the goal of breaking their opponent’s strongholds and winning the game. But the rules of society are absolute, and even in the fire of battle and heat of Rokugan’s courts, clans must remember the tenets of Bushido, lest they lose everything in their single-minded pursuit of glory. The Legend of the Five Rings: The Card Game Core Set comes with everything a player needs to explore the seven great clans of Rokugan, the Crab Clan, Crane Clan, Dragon Clan, Lion Clan, Phoenix Clan, Scorpion Clan, and Unicorn Clan. It also includes a variety of tokens, cards, and rule sheets that make the Core Set the definitive starting point for Legend of the Five Rings: The Card Game. 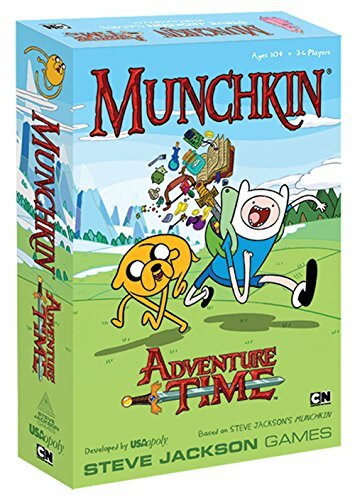 Munchkin Adventure Time features full color art of all your favorite characters, events and items from the show. Play as your favorite characters or gender-blend into their fan fiction counterparts! Finn or Fiona, Jake or Cake, it's up to you! But BMO ignores all gender-related stuff 'cause I DON"T KNOW! Jake shape shifts into a custom die...what the LUMP?! Mathematical! Driven by their successes, the resistance has gained popular support and entire regions are in open rebellion.In a desperate attempt to stay in control, some government leaders are publicly supporting the reforms demanded by the resistance.But allegiances are constantly shifting, and can be bought for the right price. The opportunity for intrigue and bluff has never been greater.The cost of failure couldn't be higher.Even with talk of reformation, only one can survive. 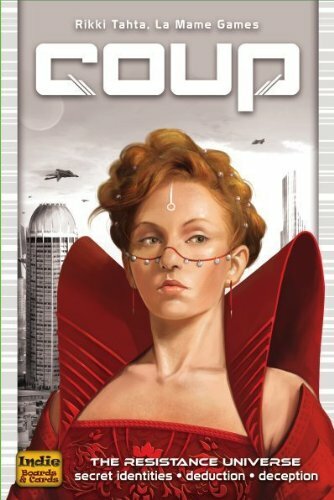 Reformation is an expansion to Coup, a copy of Coup is required to play.Reformation adds Allegiances - players are either in support of the government (Loyalists) or the resistance (Reformists). Reformation also includes the Inquisitor variant, and additional role cards to expand play up to 10 players. New lands have opened up and the race is on to create the best network of rail and road lines through it. In Railroad Ink, players roll the Route dice and must then draw the subsequent results on their individual Route boards. Players score points for having long interconnected Routes, as well as connecting the entry points to their board, plus having Routes through the center of their boards. But beware, they'll lose points for leaving unfinished lines. It's a challenge to keep their roads and rails from getting destroyed, and having to repair them when they are. Or, players can combine the two for epic, 12-player games! The Blazing Red Edition challenges players with falling Meteors and erupting Volcanoes. Can players keep their Routes together amid all the carnage?